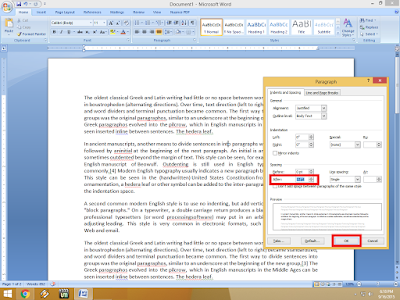 Microsoft word is most popular program for creating document, preparing project & reports. The best thing is it comes with tones of keyboard shortcut keys. So today I am talking about the space after paragraph, commonly we hit enter after paragraph to make paragraph space, but you know! you can do auto setting for paragraph space, not only this you can use keyboard shortcut key to do this, this setting will work before or after typing. So let’s see how its work…. Select the paragraph hold “Alt” key and press “O,P,F” (Alt+OPF) and insert “12,13….” hit enter. 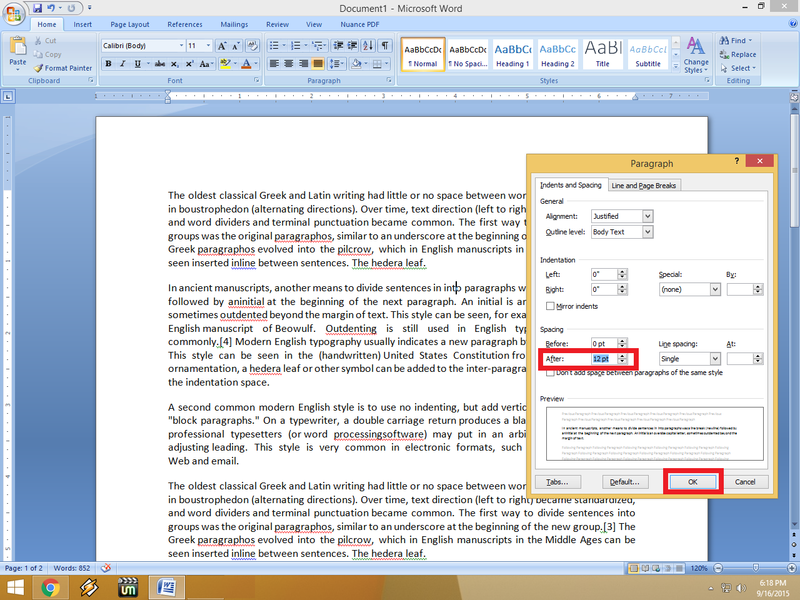 It will auto set your all paragraphs as well as future work.